Welcome to the official Storyline resources thread! 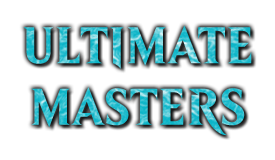 This thread is to replace a couple older storyline threads (specifically the Info Centre) as the new source for up-to date information on Magic Story. I would also recommend you check out the Wiki to help you find whatever you're looking for. It has a huge amount of information on most subjects, just be advised that it's created by users and not everything in there is going to be 100% correct. Please note that the following is not always as detailed as the List of Storyline Sources on the Wiki, but is organized to be more user-friendly. If you're looking for story summaries rather than the stories themselves, check out the thread A Vorthos Guide to Magic Story. If you're looking for Ebooks, check out the Magic: The Gathering eBook Portal at vronos.com. I link to the Kindle versions here, but if that's not your preferred source Cary has you covered. Magic's Story can best be divided up into three 'Eras' of storytelling, although I should be clear that there aren't any hard lines between each era, more like a gradual shift. Those eras are known as Pre-Revision, Pre-Mending, and Post-Mending. Post-Mending can be further divided into Before and After Magic Origins, which started the current Gatewatch-centric storytelling model. I've written two very high-level story summaries that cover most of Magic's story from beginning to end. You can find them below. I'm also including a series here by Sam Keeper from Gathering Magic, which succinctly dives into the eras of Magic's storytelling and the pros and cons of each model over time. If you're brand new to Magic Story, I highly recommend starting with Magic Origins and then working your way forward. It was designed as an entry point for newcomers and there's very little time investment in getting caught up from there than diving headfirst into the novels of Magic's first 20 years. This guide is laid out in roughly chronological order, however, so skip down to The Post-Mending Story (And the Post-Mending chronology) if you're new. You don't need to know everything about Magic's past to get caught up. The stories of the Pre-Revision era were largely handled externally from Wizards of the Coast. The two major sources of lore from this time period were the Harper Prism novels and the Armada Comics series. While many of these events were never referenced again or retconned to fit the new story direction in the Weatherlight Saga, the rule of thumb has been that these events are canon unless explicitly contradicted, and many characters made the jump to post-revision canon. Certain stories, like the Antiquities War and the Ice Age, were later retold in the novels. Please note that the 'Planeswalker War' story set up in many of these comics (the history of which is summarized in The Story of Battlemage Ravidel) was never completed, as the last few comics were cancelled. The novels of the Post-Revision era, now known as the Pre-Mending story, are presented here in roughly chronological order. Most of the stories took place in novel series called cycles, but many short stories have since been made available online. An in-depth knowledge of this era is not required for understanding the modern story. They just add some fun background flavor for a few known planes. Only a single art book was created during this time: The Art of Magic: the Gathering - The Rath Cycle. Only a few comics were produced in this era, a comic from Dark Horse retelling the story of Tempest block, and a series of short 'intro' comics for TopDeck magazine as a teaser for certain novels. From this point forward, most novels are available as ebooks. Before this point, as I mentioned, it's pretty hit or miss. The story goes from one long epic set on Dominaria to self-contained tales jumping between several planes before returning to Dominaria for the epic events of the Mending. The current story for Magic takes place after the Mending, in a time when planeswalkers no longer have god-like power or immortality. Plots to regain that lost power or the consequences of its loss are major themes in the post-mending multiverse, as old threats barely contained by what are now known as 'oldwalkers' are now the problem of these weaker 'neowalkers'. One of the great resources made available to readers post-mending is the advent of the Planeswalker's Guides, a series of articles talking about the flavor and worldbuilding of the planes visited in each block. These are great resources for getting the feel of a plane that the story or cards don't necessarily convey. It took a while for these articles to cement, so earlier blocks have some worldbuilding articles I've included that aren't necessarily called planeswalker guides. The official website's Plane Profiles also contain a wealth of information. Alara: A Planeswalker's Guide to Alara is an out-of-print book that covered what later guides would do online. Some of the material can be found in the 2008 Savor the Flavor articles, including Perfection Through Etherium and The Soul of the World. Zendikar: A Planeswalker's guide to Zendikar (Full Links Here) covers the plane of Zendikar, and while Rise of the Eldrazi did not have a Planeswalker's Guide, there were three articles acted as one: Gods and Monsters, The Defiance of Angels and The Three Brood Lineages. There is no guide for Battle for Zendikar. Mirrodin: Mirrodin didn't get its own Planeswalker Guide, partially because it was already well fleshed out from the previous Mirrodin block. The Human Cultures of Mirrodin and The Non-Human Cultures of Mirrodin were reviewed, but the big reason was because of what was on the horizon. New Phrexia: To the surprise of some, the Phyrexians won and took over the plane of Mirrodin. Phyrexia: The Strong and the Scattered discusses how this came to be and their history, while A Planeswalker's Guide to New Phyrexia (The Machine Orthodoxy, The Progress Engine, The Steel Thanes, The Vicious Swarm, The Quiet Furnace) and Getting to Know the Praetors covers the current state of the plane. Innistrad: A Planeswalker's Guide to Innistrad covers the plane of Innistrad itself, while A Backstory Update for Dark Ascension goes into detail about the current plight of Innistrad and A Planeswalker's Guide to Avacyn Restored Part I and Part II covers what happens after the story concludes. Ravnica: Another setting that had already been well fleshed out, A Planeswalker's Guide to Return to Ravnica Part I, Part II, Part III and A Planeswalker's Guide to Gatecrash Part I and Part II cover the current state of the ten guilds, while Ravnica, Then and Now covers what happened in the original story and how things have changed. Theros: The plane of Theros is covered in three guides: A Planeswalker's Guide to Theros Part I, Part II, Part III, A Planeswalker's Guide to Born of the Gods, and A Planeswalker's Guide to Journey into Nyx. Tarkir: A Planeswalker's Guide to Khans of Tarkir details what would have happened without Sarkhan's intervention. A Planeswalker's Guide to Fate Reforged details Tarkir's past, before Khans or Dragons happened. A Planeswalker's Guide to Dragons of Tarkir shows Tarkir as it 'is', after Sarkhan traveled through time. Kaladesh: The plane of Kaladesh is so far covered in just one Planeswalker’s Guide to Kaladesh. Amonkhet: No Planeswalker's Guide was created for Amonkhet. Ixalan: Planeswalker's Guide to Ixalan, Part 1 and Planeswalker's Guide to Ixalan, Part 2. Kylem: The setting of Battlebond received only one worldbuilding article, The World of Battlebond. Much of Magic's flavor and story in recent years has been told through online articles. Savor the Flavor, originally a series called Taste the Magic, was a series of articles that focused on flavorful aspects of Magic: the Gathering. 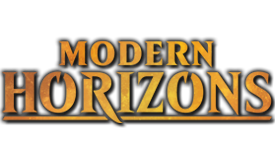 It tended to vary a lot in the type of content it provided and was eventually scrapped in 2012 in favor of Uncharted Realms. All the short stories have been collected on our wiki, which also helpfully divides them by plane and main character. Magic Story, originally titled Uncharted Realms, replaced Savor the Flavor in 2012, around the same time the Magic Novels were cancelled. Unlike Savor the Flavor, this series focused entirely on short stories and story-related information, with a new article coming out every Wednesday. Many of these stories flesh out the worlds that each block takes place on, but they also advance the overall plot. A recent shift in creative direction has serialized these short stories into longer ongoing story arcs. Planeswalker Webcomics were an early post-mending attempt at making the Magic story more accessible for players. The webcomics were the beginning of many of the story's elements and are a must-read for any story fan. The early Post-Mending stories were told through a series of planeswalker-centric novels and block novels. Even though Lorwyn was the first set where the neowalkers appeared, their story didn't actually begin until Shards of Alara. Lorwyn, while technically Post-Mending, takes place about 40 years before anything else, as indicated in Nissa's story from Magic Origins. There were three books in this series, and a fourth, cancelled, novel focusing on the character of Liliana Vess. Agents of Artifice follows Jace Beleren's early adventures with Liliana Vess as an agent of the Infinite Consortium while under the tutelage of Tezzeret. It is widely regarded as a pretty solid read and is recommended if you want to learn about Magic's story. The Purifying Fire follows Chandra after her first confrontation with Jace Beleren in the webcomics. This novel also introduced Gideon Jura. It's considered probably the best of the post-mending novels, and is definitely recommended. Test of Metal follows Tezzeret as he tries to slip free of Nicol Bolas' control. It does a great job of characterization for Tezzeret, but it introduces a universally hated magic called clockworking that throws the canon of novel's events into doubt. It is not a recommended read. There are three novels and two e-novella series in the block novel series. They cover every block from Alara to Theros, with the exception of Innistrad which did not get a block novel but instead two summary articles. Alara Unbroken is the Shards of Alara block novel. It tells the story of Nicol Bolas' bid to regain his lost power. It's the best of the block novels Post-Mending, and is recommended. In the Teeth of Akoum is the Zendikar block novel. It tells the story of Nissa and Sorin's quest to re-seal the Eldrazi. The book itself is not particularly good, and it's not recommended. All you need to know is the ending, where Nissa breaks open the final seal (ignoring Sorin's advice) and releases the Eldrazi. The Quest for Karn is the Scars of Mirrodin block novel. It tells the story of Elspeth, Venser and Koth's search for Karn on a changing Mirrodin. It is borderline unreadable and not recommended. Again, all you need to know is the ending, where Venser dies to restore Karn's spark and mind. The Secretist is the Return to Ravnica block novel, told in three parts. It doesn't really deal with any major characters or themes from the original Ravnica, so it's pretty safe to read as a stand alone. It is recommended. Godsend is the Theros block novel, told in two parts. It deals with Elspeth being chosen by the god Heliod to defeat Xenagos. It is recommended. The Post-Mending story has been told through three different comic book venues at this point. 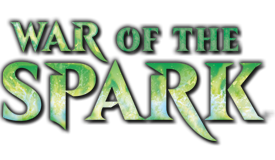 Path of the Planeswalker Volumes I and II are the collections of the original Magic webcomics that premiered on the main website during Alara through Scars of Mirrodin. They're linked in my post-Mending chronology below. Magic: the Gathering (2012), Magic: the Gathering - The Spell Thief, Magic: the Gathering - Path of Vengeance, and Magic: the Gathering - Theros were the first series of IDW comics released featuring new planeswalker Dack Fayden. While the comic featured the same plane as the blocks they were published alongside, the plot was completely unrelated. Magic: the Gathering - Chandra (2018) is the second series of IDW comics, this time featuring fan-favorite planeswalkers like Chandra and taking place between those character's appearances in the main plot. The most recent resource are the new series of Magic Art Books that have been released. These appear to be taking the place of Planeswalker's Guides for 'Return to...' planes, such as Battle for Zendikar and Shadows Over Innistrad. While new planes will still get planeswalker guides, the art books are by far the greatest source of worldbuilding information on each plane. Plane Shift - Fans have been clamoring for a Magic conversion into D&D for years, and James Wyatt has answered. So far, there is only a conversion for Zendikar, but given that it follows nicely on The Art of Magic books, there will likely be more. The story is presented here in roughly the order it was published. For the most part, that also means that it is in chronological order, but that won't always be the case, such as with Magic Origins or various background stories. Note that I have placed the webcomics where they belong on the timeline rather than when they were published. It is also divided up as much as possible by who it affects, as many events in the story take place concurrently. Please note that I'm ONLY including stories that are either relevant to the plane they take place on, the overall plot, or to one of the main characters. In general, this means that only characters who appear more than once in the story will appear here, and then only if they have bearing on the overall story. You can find a full list of the short stories in the links I provided earlier to Savor the Flavor and Uncharted Realms articles. These stories tell the origin of the core five planeswalkers, in some cases retconning established details of the existing story. At this point in the story, the direction shifts completely from a vaguely connected series of events starring a rotating cast to a more tightly plotted serialized narrative told entirely through online stories. Please let me know below if you think I missed something. I know there are a lot of short stories not included here, but there are hundreds of stories that ultimately don't matter to the overall plot. Please note that some links may be broken due to Wizards closing out the old site's archive. I've fixed what I can, but if you encounter more please post about it here. In addition, some links to the wiki redirect back to this post, if that happens just go to the wiki manually and type in the name. Terrible Bad at Magic since 1998. Amazing job putting this all together Jay. It does look like a lot of stuff for anyone interested in catching up. I wonder if one day Wizards will release a single series of books to tell the story from all blocks (including digital stuff). The series could be divided into worlds, everything in chronological order, of course. 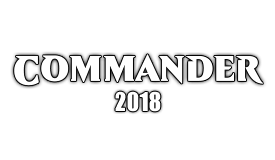 Would you like to read Commander stories? Check my latest stories, coming from Lorwyn and Innistrad: Ghoulcaller Gisa and Doran, The Siege Tower! If you like my writing, ask me to write something for your commander as well! Reaper King (a horror story), Kaalia of the Vast (an origin story), Sequels for Innistrad (Alternative sequels for Inn), Grey Areas (Odric's fanfic), Royal Succession (goblins),The Tracker's Message (eldrazi on Innistrad) and Ugin and his Eye (the end of OGW). So, when trying to put together the Archive Trap articles, I realized it would be way easier to classify everything by each character's journey, rather than block specific novels. For instance, the next one (which will be out in December) is about Liliana and Garruk and the Chain Veil, which is one story told across multiple webcomics, the plot of Innistrad, DotP 2015, several random Uncharted Realms articles, etc. It would be insane to try and make sense of that particular story by reading all the story stuff in chronological order, lol. You've got to be specific about which story you're telling. Ajani and Elspeth can be told more or less together, because Ajani is never really up to anything that Elspeth isn't also around for. Garruk and Liliana are the same way, and we'll probably have to shoehorn Ob Nixilis in there if we get more information on him. ...This is why I thought those articles were necessary, lol. I do wonder if it should be noted that the Ravnica trilogy has possibly been retconned to be a Post-Mending story in timeline, although it was published Pre-Mending. There were subtle hints in an Arcana from Magic: Origins that suggests that Jace was around for at least the Guildpact and Dissension novels during his early Planeswalking days. How old was Teysa in the Ravnica block? She gives her age in Family Values, so it's just a matter of Math. I'm pretty sure her age comes up in the original block. Edit: Just did some searches on my nook for 'years old', and we get Agrus and the elf's ages, but not Teysa's. What are the hints in Jace's Origin Story? Well... I suppose that depends on what you are trying to catch up with. If you read the stories because you want to know more about the world and its main events, I believe reading things in a chronological order makes perfect sense. If you want to know more about a specific character... then it probably isn't going to work that well. Liliana's Origin was released much later after her first appearance, and some things are explained in the webcomics while others are explained elsewhere, so indeed, to follow a single character might just be better not to worry about chronological releases. That's fair. I think the issue was that we had two 'sets' of main players for a while - the Alara 5 and the Lorwyn 5, and they tended to alternate in sets (Alara - Mirrodin - Theros or Zendikar - Innistrad - Return to Ravnica - Battle for Zendikar). You could completely skip one group and still understand what was happening to the other. Wonderfully done! This also cleans up all the stickied threads at the top of the Storyline Forum, which I think helps overall readability. This is wonderful thank you! This is really nice since Innistrad is coming back around I was trying to find all the stories about to reread. Next month's Archive Trap is about Garruk and Liliana, which includes the whole plot of Innistrad since there wasn't much the first time around. You also may want to check out the MTG Comics, since they've got a pretty heavy Innistrad presence and feature Sorin actually accomplishing something (namely, beating up Dack without breaking a sweat). It was an Arcana that talked about the state of affairs among each of the planes of the Magic: Origins set. And its two paragraphs in particular that stand out as to a possible retcon/clarification. Later, the Guildpact would be broken, the guilds would be thrown into turmoil, and Jace Beleren would be empowered as the Living Guildpact—the arbiter of the ten guilds' conflicts. At the time of his first visit, however, all of that was still years in the future. This paragraph implies that upon Jace's first visit, which would be at the end of his Origin story, that the events of some if not all of the original Ravnica trilogy would have happened some time after Jace's first visit to Ravnica. House Dimir, aligned with blue and black mana, is a highly secretive group of infiltrators, assassins, and information brokers. At the time of Jace's arrival, it was widely believed that House Dimir had long ago ceased to exist. In fact, its agents were still very much active. Here, you can see one of them stealing the memories of a priest of the Orzhov Syndicate, a group aligned with white and black mana that's somewhere between a church, a bank, and a crime ring. This statement furthermore presents the theory that Jace was a Planeswalker during the some, if not all, of the ordeal of the original trilogy. 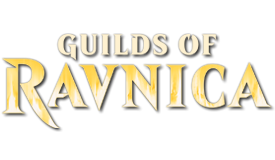 Now, my personal theory is, considering the time gap between the first novel Ravnica: City of Guilds and the second novel Guildpact was 12 years, that provides a good amount of time for Jace to have first arrived on Ravnica at the age of around 13-14 after the events of Ravnica: City of Guilds, and then a couple years later, the events of Guildpact and Dissension occur. The only thing I've been meaning to double check is that in the original Ravnica: City of Guilds, that the whole ordeal with Szadek didn't spread as wide across the plane, which I can believe considering how huge Ravnica is. Then perhaps the tale of Agrus didn't get popular for theater until after all three novels. The potential logic against this would be, there is was so much destruction during Dissension, how could have it all possibly been fixed within a few years? Simple, Magic, and man-power, and Ravnica has plenty of that. And now, there is one great evidence potentially proving that the original Ravnica trilogy now resides in the Post-Mending era. The newest UR, Ob Nixils mentioned that it had ben centuries since the Mending, and considering Teysa is declared as 192 years old in her newest UR, I believe confirms that Teysa's whole life would be within the Post-Mending world of Magic. The newest UR, Ob Nixils mentioned that it had ben centuries since the Mending, and considering Teysa is declared as 192 years old in her newest UR, I believe confirms that Teysa's whole life would be within the Post-Mending world of Magic. He actually says it's been decades. And yes, I knew that as of some decades ago, being a Planeswalker didn't mean what it used to. It's incredibly awkwardly worded there. It could just be referring to the turmoil of the Return to Ravnica block and Jace becoming the Living Guildpact. The issue is that the original Guildpact prevent planeswalkers from entering the plane, so if the original Guildpact was still in effect, Jace shouldn't have been able to planeswalk there - much less Tezzeret or Bolas to set up the Consortium. What it could be referring to is Teysa's non-magical guildpact being broken and the guilds being thrown into turmoil again. We'll find out more later, but unless it's explicitly stated, it's safe to assume the Ravnica cycle still takes place pre-mending. We just know that it takes place at some point in the previous hundred or so years. Besides, the Dimir quote you posted disproves the thoery - Dimir isn't believed to exist at all during the early Ravnica cycle - the guildpact magically prohibited its existence from being disclosed by the signatories. It only becomes exposed later, at the Dissension, which was part of Szadek's plan. Teysa is declared as 192 years old in her newest UR, I believe confirms that Teysa's whole life would be within the Post-Mending world of Magic. "I am one hundred and twelve years old," the Grand Envoy seethed. Just mentioning because there is a huge gap between 192 and 112. Letting it slide could affect further rational of pre/post mending era. Is referring to the events in the Return to Ravnica block. Jace first visit on Ravnica was before the events of RTR, but probably after the events of Original Ravnica. Teysa is a better character to use as a reference, since we know how old she is and we also know that she was alive in the events of the first storyline. If my theory is true though, Jace would have been able to Planeswalk to Ravnica after Agrus arrested Szadek in the first novel, since if I'm not mistaken that incident was the reason the Guildpact had been dissolved in the first place. Also, sorry for the mixed information. Generally I tend to double check all of my info before posting, but I was pressed for time for family holiday cooking reasons. The centuries to decades thing does indeed foil my theory a bit. I think when I said centuries I was briefly remembering other discussions in the forum, so I apologize for that. I still think my theory has some ground though. I don't believe it disproves it, if the Guildpact was dissolved because of Agrus arresting Szadek in the first novel, then Jace could have been able to land on Ravnica, and the Dimir could have begun to be more active in secret. The fact that Dimir would still be widely believed to not exist during the Guildpact and Dissension novels would indeed probably still be true. Just FYI - I'll be rereading these books soonish for articles on Ravnica, so I'll be better able to comment then. Teysa is a better character to use as a reference, since we know how old she is and we also know that she was alive in the events of the first storyline. Do we? Ever since we got that age, I've been wracking my brain, trying to recall if we ever got anything like a specific age back in Guildpact. I'd assumed "vague early 20s," but I couldn't actually recall a textual confirmation that she wasn't, say, 70 years old, and just hiding it the same way she does now. I'd made that assumption too. So I went back to my ebooks and search for any combination of words I could think of for someone to mention their age (years, old, age, etc) and Teysa's age is never outright stated. She's youngish, but young on Ravnica could mean 40. Well, at the very least, she wasn't a little kid, so we can peg the Dissension as "within the last century," and we know the Mending was after it. And that's probably the most exact we'll get about dates for the forseeable future. If they explicitly made Jace “18-25” to match their target demographic, one assumes the passage of time shall contort to not let him age out of that slot. In other words, it's Comic Book Time going forward. She is also a pureblood Orshov, i'd have to re-read the text but I believe that how young she looks for her age has something to do with her bloodline, with the crippling side-effect literally being a crippling leg. Just FYI to everyone, redirects STILL don't work properly, so I'm working on updating all the links but it's going to take a while. Anything older than Khans seems to be iffy in whether or not it'll work. All the links should now be updated. Please let me know if any of them don't work. Hey guys! Nice list you've got here. I'm trying to track down the Kamigawa vignettes, which is missing from your list, but all the links Google can give me are 404'd. Does anyone have a link to their new location? Hopefully they didn't just get pulled down by Wizards. Yeah, there is way too much for me to list every story ever. Your best bet is to check the wiki for the dates of the article, then search for the title on Wizard's site by refining your search to the dates it would have been published. Fair enough. Wizards' own link to them is broken, but I'll try to just search through the archives manually. I'm a long time on and off Magic player, but I've never been interested in the story until they started their new story design philosophy in Origins. I have a few questions hopefully someone can answer for me. 1) Can I get started with the Origins stories and just read the Archive Trap articles to get background of important information? 2) Does everything after Origins, excluding Commander 2015, pertain to the current story direction? 1) That's the idea. The story up until now was split between those involved in Zendikar, those involved with the Veil, and Ajani and Elspeth. Since Ajani and Elspeth's stories (Alara, New Phyrexia, Theros) don't really matter to the Gatewatch, it's pretty easy to get caught up. 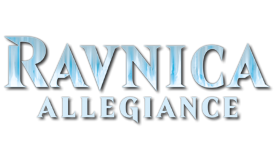 I'll have an Archive Trap (or two) out soonish on Ravnica and Return Ravnica, which is the only story not currently covered that affects the Gatewatch pre-origins. Just remember to also read Tarkir's story summary (listed above) for the Tarkir block side of things, although I do somewhat cover that in the Zendikar archive traps, too. 2) Yes. 'Project Lightning Bug' was the beginning of the new Serialized Storytelling. If you're looking for a place to start to catch up on the current story direction, that's it. Without having read the Secretist (which is a decent, and relatively short, trio of ebook novellas) you may not quite get who Ral Zarek is, but ultimately they move past that quick and all you need to know is that Jace is now the Living Guildpact for Ravnica. Then get started with either Project Lightning Bug, or if you're fine with the summaries in Zen Part 3, start with BFZ proper. The next Archive Trap in the que, for Fiora (the plane Conspiracy takes place on) is finished and is just awaiting posting. BFZ Archive Trap is 90% finished, and should be ready for editing within a week or so. After that, I'm moving on to the longer-term project of Ravnica. Kaburi is working on a piece that will summarize Elspeth and Ajani's stories, and while I've got outlines for Alara and Theros, we've got a MAJOR project in the que for New Phyrexia, which will actually be a series of articles covering the history of the Phyrexian conflict and Mirrodin. Don't expect to see that last one until closer to the end of the year, though.